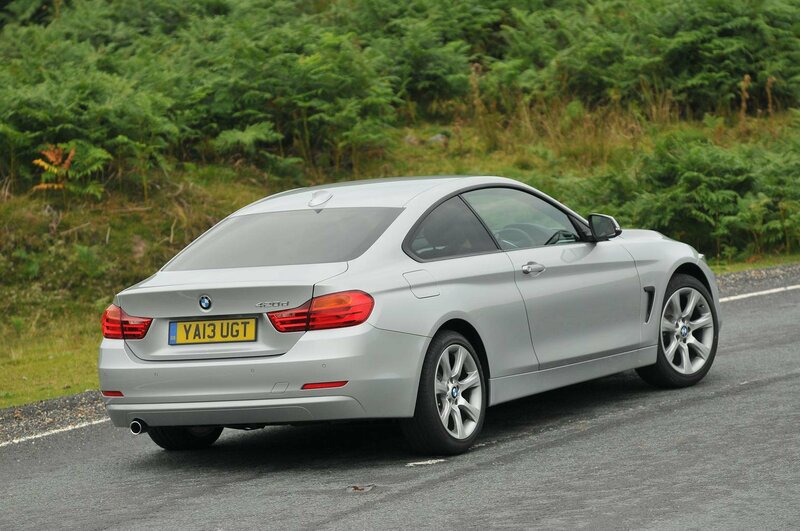 Deal of the day: BMW 4 Series Coupe | What Car? The BMW 4 Series is a sleek and sportier-looking version of the impressive 3 Series saloon, without losing any of the practicality by being a coupé. And to sweeten the deal slightly you can save £5079 off the list price of the middle-of-the-range Sport model fitted with BMW’s smooth eight-speed automatic gearbox. There is a lot to like about the coupé-shaped BMW 4 Series, with its well-built, classy and easy to use cabin, comfortable ride, supportive driving position, and composed ability in corners, where it outperforms even the accomplished 3 Series. BMW has made the 4 Series a proper four-seater coupé, which means two adults can sit comfortably in the back and it has a large enough boot to carry a weekly shop or a set of golf clubs, making it more practical than its nearest rivals. 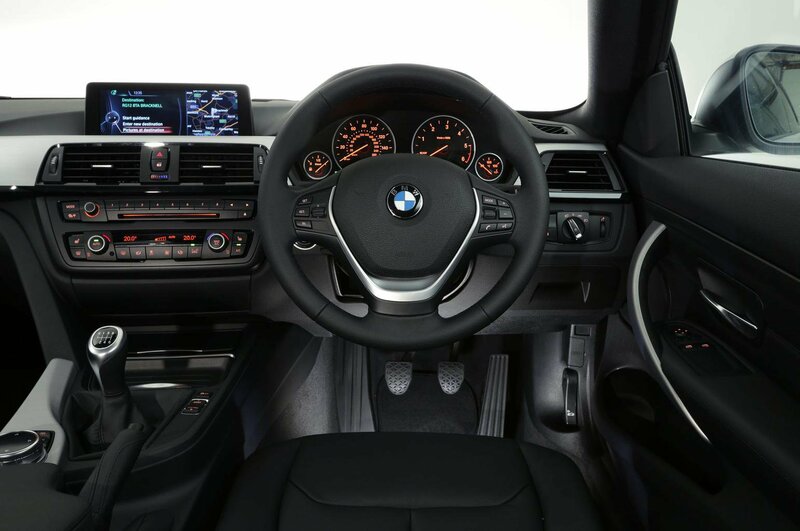 Inside the BMW exudes a premium feel with plenty of soft, dense materials to touch and feel. The 4 Series also comes fitted with BMW’s intuitive iDrive infotainment system. The sloping roof on the 4 Series does affect head room in the back, which can make getting comfortable a little awkward for taller people. Its entry-level 2.0-litre petrol engine isn’t the strongest in the range, and needs to be worked quite hard to make progress without ever feeling that fast. While the 420d is less refined and sends harsh vibrations through the pedals and the steering wheel, it is far more efficient. Also the coupé shape restricts the view out of the rear window, although a combination of parking sensors and large wing mirrors ensures reversing isn’t a chore. Sport trim equips the coupé with 18in two-tone alloy wheels, xenon headlights, leather upholstery, heated front sport seats, dual-zone climate control, front and rear parking sensors, and BMW’s excellent iDrive infotainment, which includes DAB radio and sat nav. This deal also includes BMW’s eight-speed automatic gearbox and Professional Media set-up, which upgrades the infotainment’s screen from the standard 6.5in screen to a widescreen 8.8in display, and adds a 20Gb hard drive – ideal for storing music, and access to real time traffic information. A rear view camera may be a useful addition to make reversing that little bit easier, however, it will set you back an additional £330. 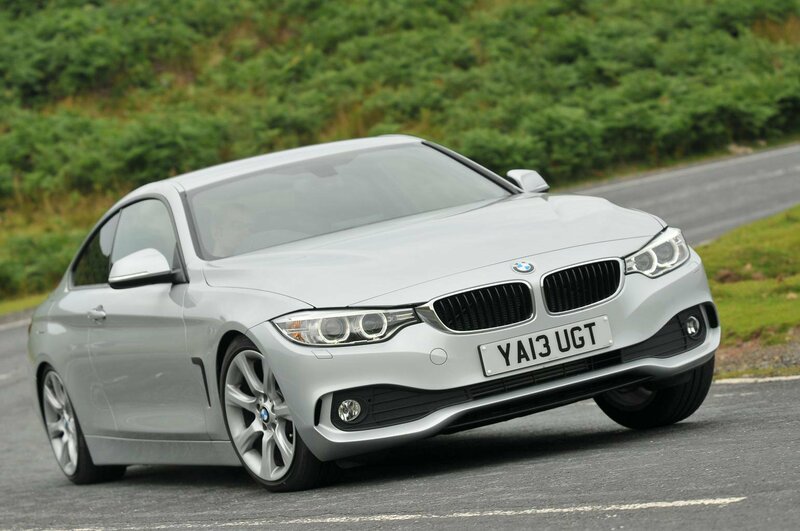 The 4 Series has a couple of four-seater coupé including the Audi A5. However the Mercedes-Benz C-Class Coupé is slightly comfier and better equipped than the BMW, even though if you have to compromise on rear leg and head room and boot space.